I love this book and my students love the projects! It’s easy to use with pictures that show the visual outcome. You know which NCTM standards are being addressed too. There are lots of reproducible sheets to help teachers and parents. 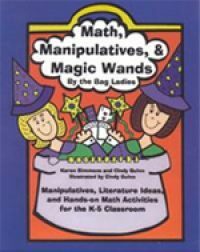 Its packed with creative ideas to make teaching math easy! Just so you know, another math book that helps K-5 students is the one I wrote called Memory Tips for Math. All those visual learners need to see pictures to remember how to do math procedures and understand math vocabulary. Audio learners remember by saying rhymes and hearing stories. Kinesthetic learners need movement. It’s all here. Check it out!